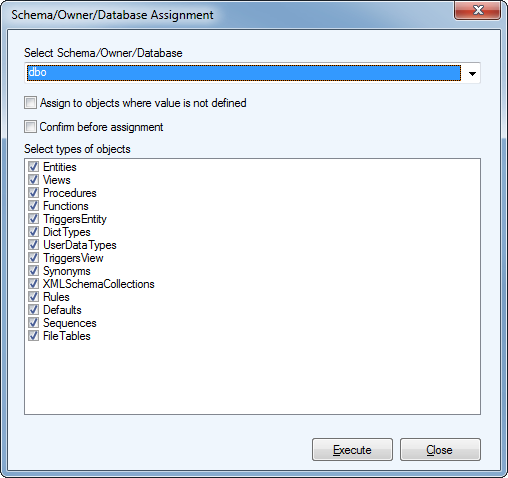 In SQL Server models you can define Extended Properties to various objects manually. In case you wish to add extended properties to multiple objects at once, download a small macro from here. 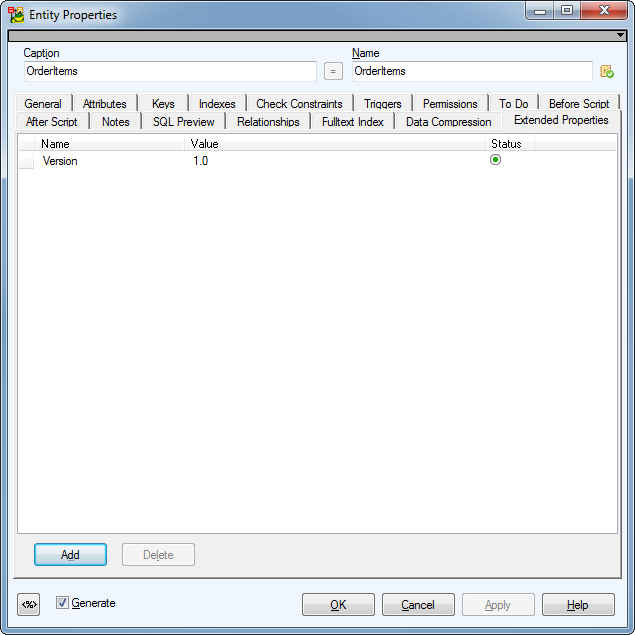 Extract the content from the zip archive and import the package to Toad Data Modeler. 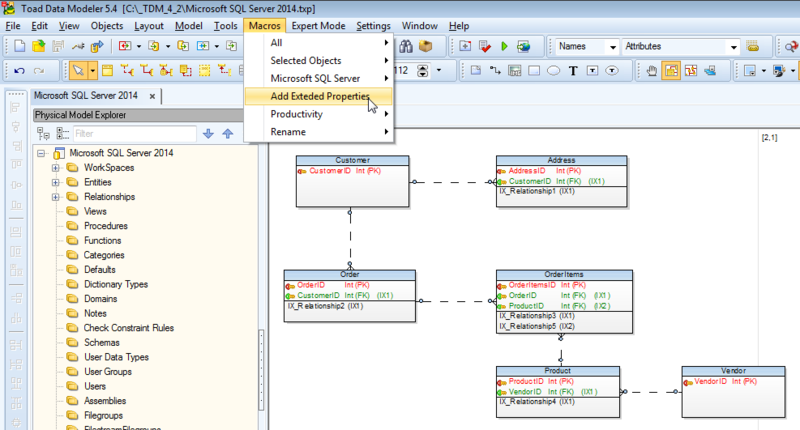 Then open your SQL Server model and click Macros | Add Extended Properties. New form opens. Let's say we want to add extended property Version with value 1.0 to all entities in the model. 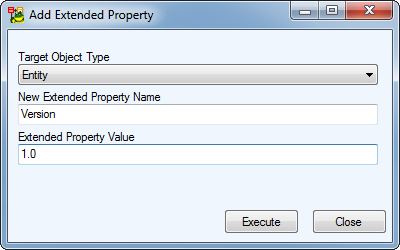 Select target object type, property name and value and click Execute. Information about the progress will be added to Message Explorer. 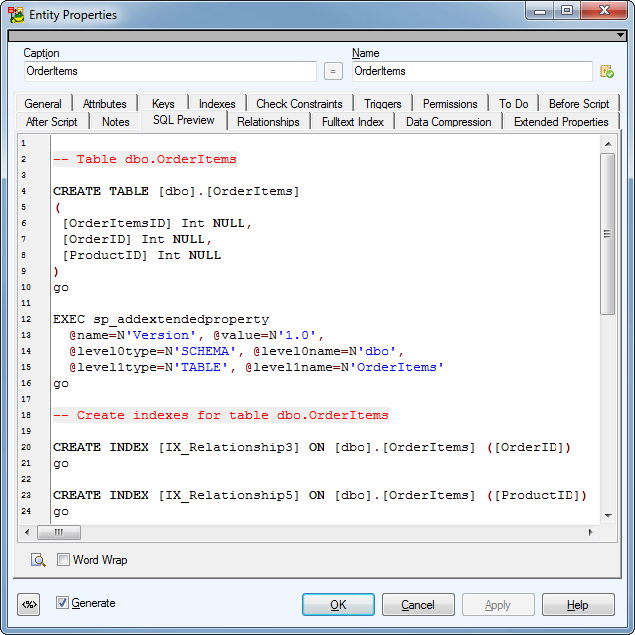 SQL Preview will show the code for extended properties. Actors: Kevin, Edward, Jack, Jeff and my kids.